Thank you for all your help. I ordered the one off eBay. It was expensve, but well worth the smile on her face when she got it today. It helps. To see her this happy after the house burned is priceless…. 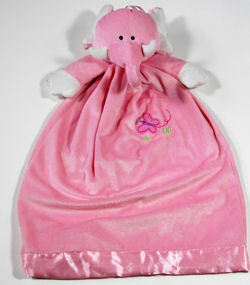 I am looking for a pink elephant pajama bag they was sold at Walmart in Dec., 2006. I got my daughter one when she was just a few months old. She had it with her all the time till Feb. 09, when our house burned. I have no photos. Everything we had burned in our house. Made by DanDee, it had a pink plush elephant head and arms. The body was a bag, on the right top part of the bag it had a butterfly stitched in it. There was a silky material that lined the bottom edges of the bag. On the back of the bag it had an opening with ties on it to tie the bag shut. Now she is lost without it. Please, if anyone knows where I can get one please let me know.